party described having the feeling of being watched as they passed through the area. Further details and photographs: http://sasquatchtracker.wordpress. 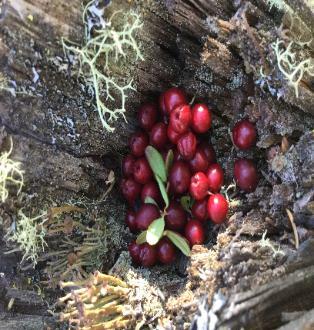 Close up of cranberries in stump. 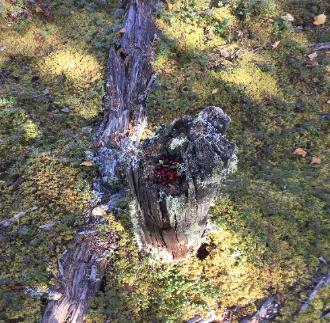 Another view of the stump. 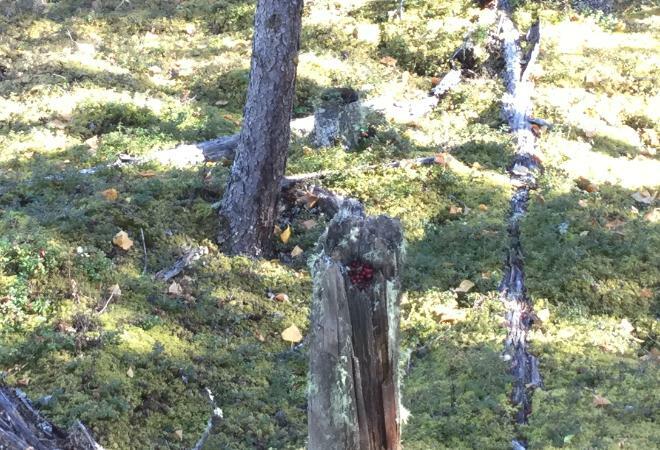 Notice the ground is consumed in moss. This a very "boreal" trait.